Okay, before I start going on and on about how awesome Gymbucks are, and how they work, I have a confession. 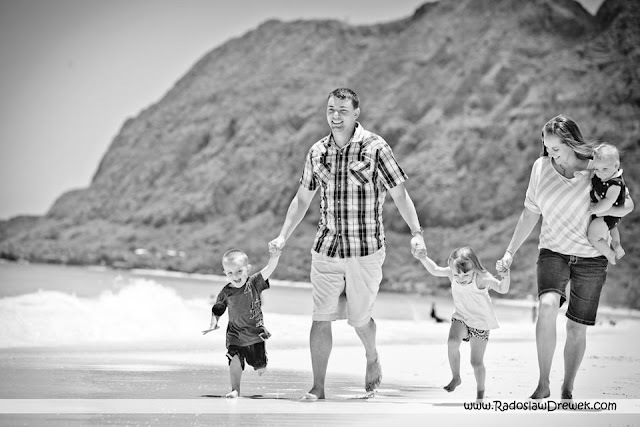 When Team Hayes first moved to Hawaii two years ago, my sister Amanda and her two boys (then 2 and 3 years old), came to stay with us for two months while she filled an Air Force reservist position at Hickam AFB. I got the boys dressed every day, and secretly judged Amanda to the extreme for being such a rich snob that every single clothing item, right down to their bathing suits, underwear, and pajamas were ALL Gymboree brand. I never shopped there because I am frugal, and all I knew was that they were overpriced, "brand name" kids clothes. Anyway, this is a quick rundown of how Gymbucks work. -You buy stuff at Gymboree. I keep to CLEARANCE stuff only, $8.99 and under for pants/shorts, $6.99 and under for tops/shirts, and $10.99 and under for dresses or one piece boy outfits. -You bring in your $25 in Gymbucks during the Gymbucks redemption period and get $25 off your $50 purchase. There are no restrictions, all sale and clearance items are eligible. So, you can get a WHOLE lot for $25. You can earn them, but cannot use them at Gymboree outlet stores...but who cares, you don't need no outlet store! Over the last couple months, I made three separate trips to Gymboree, all resulting in $50 purchases (similar to the one pictured above), 10+ clothing items, and $25 in Gymbucks. 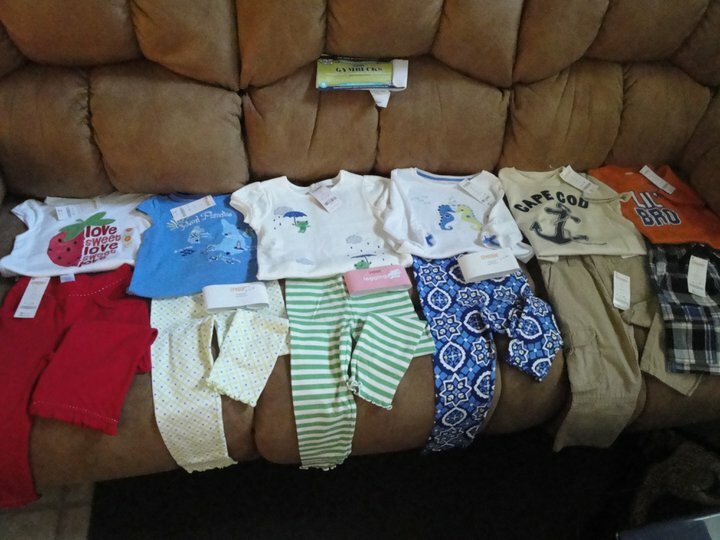 I spent $152 plus tax on 18 pieces/9 outfits for Jocelyn, 14 pieces/7 outfits for Sam, and a couple items for new baby gifts. It all averaged out to less than $5 per item (and that is not counting socks and hair bows and stuff that SHOULD be under $5 to begin with). I cannot even do the math to tell you how much the original prices of those 40ish items totaled, but it was close to $1000. Those were bargains...and that was just while earning Gymbucks! It gets better! Now it is the redemption period, and I had $75 GBs burning a hole in my hand (not in my pocket because those babies were out and ready to go first thing this morning). The redemption doesn't actually start until tomorrow, BUT Gymboree Rewards members get a day head start on everyone else. ***That's kind of a key thing here. Becoming a rewards member is free and all they need is your phone number and email. You will get 30% off coupons in the mail/email that you can use on clearance items while earning your Gymbucks! $35 dress, on clearance for 60% off = $14 + 30% off coupon = $9.80. Get five clearance items like that, you are getting $175 worth for $50 AND earning $25 in Gymbucks. SCORE! These two items ended up being $2 each...originally $14.95 each. TURTLES - ARE WE THERE YET? This is the only thing I bought for Sam in size 2T.=, because we already owned these shorts, and the matching shirt that says "Lil' bro". And this shirt was $1.50. Everything else is 3T. I love the knit shorts like this, because they are always on clearance for $3.99, when the more expensive, 'cuter' linen ones are $9.99....but these come out of the dryer looking like this, and the other ones need ironing, so it's a double plus for me. These ended up being $2 a piece also...and totally cute. You can't even get stuff for that price on the clearance racks at Walmart or Target, much less the selection! I was surprised these shorts were on sale for $6.99 because all the other similar ones were still $12.99ish. This was the most expensive item I bought today. It was originally $35, on clearance for $14.99, so I paid $7.50 for it, but it is a whole outfit, and I justified it because Jocelyn REALLY wanted it. She was so sad when I told her she couldn't wear it for a year. Haha. "The Kicker" These socks match a few of the outfits that I bought for Jocelyn while earning the Gymbucks. I needed them, at just $0.99, to put me barely over the $150 mark to use my $75 in Gymbucks. Originally $4.25 for ONE pair of socks...I paid $0.50. Uh, it's a giraffe, and it's gender neutral. :) There was a ton of newborn giraffe stuff on clearance, but I don't need newborn stuff AT ALL...and most of it was girl stuff, and I don't know if this is a girl or not (for this very reason - I don't need to buy newborn stuff)! I bought one boy thing, in case baby III is a boy. This was my biggest bargain of the day. Originally priced $29.95, I paid $3.25, that is almost 90% off! And I bought one girl thing. This could be gender neutral (I think) if the onesie didn't have a bow on it. I LOVE this set. Who in their right mind would go into Gymboree and pay full price for anything? So overall, in the past couple months, I spent a total of $225 on kids clothes, clothes that would have cost nearly $1400 if purchased at their original prices. And, the kids are nearly all set with outfits for their next size up (3t for Sam, and 4t for Jocelyn). If only I could get 65 brand spanking new name brand articles of clothing in my size for $225. Could you imagine? Love the detailed blog! And, thanks for the shout out!! Ok. You got me. How did you get a P&T at 30%? And I am definitely going to have to become a rewards member at Gymboree!